IN STOCK NOW! 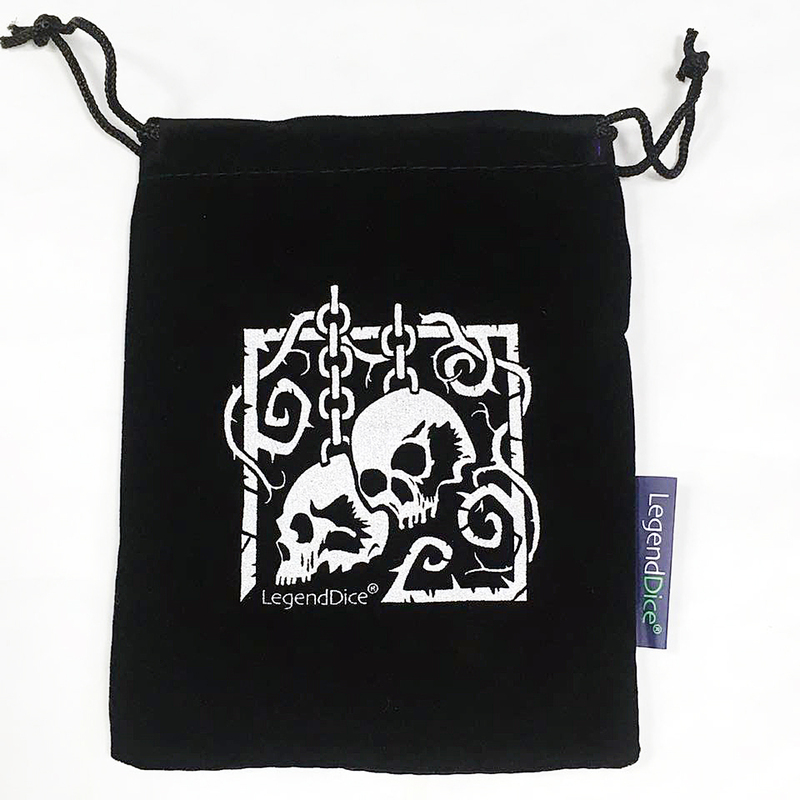 Our very own faux suede dice bags with awesome foil print logo (generic 'skully' picture, not branded). 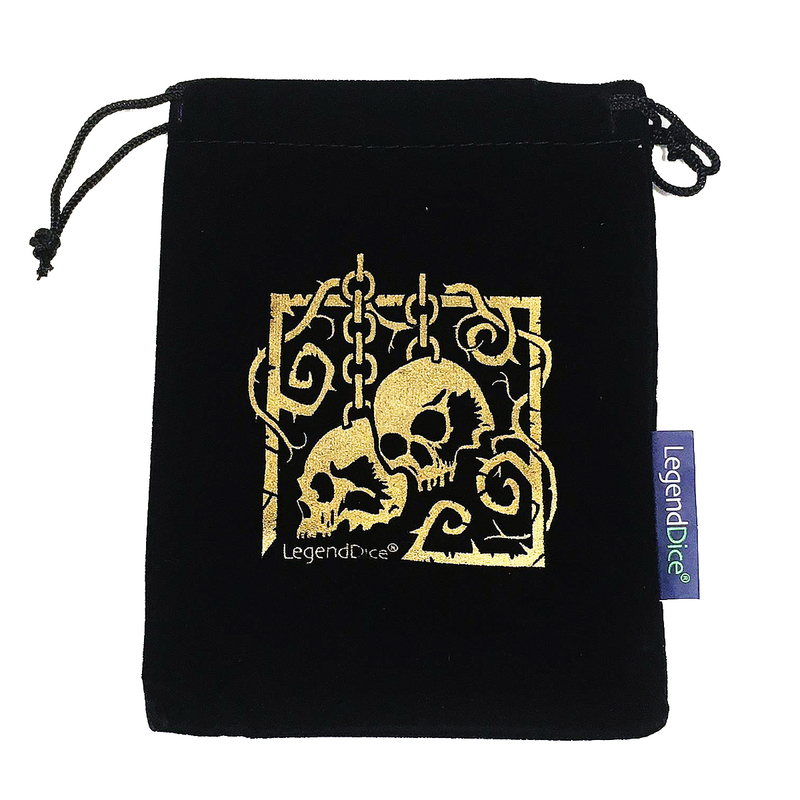 Our first batch is BLACK with gold foil skull print. Other colours and versions to follow.